WOW WOW WOW!! COME CHECK OUT THIS CLASSIC TODAY!! WHAT A BEAUTY!! 3 on the tree speed manual fluid drive, beige cloth upholstery, bench seating, carpeting, seats 6, and much more!! GIIVE US A CALL OR STOP IN TODAY FOR MORE DETAILS!! 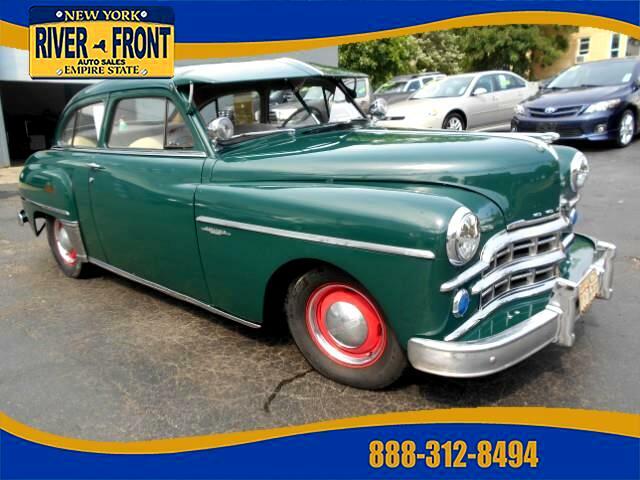 Message: Thought you might be interested in this 1949 Dodge Wayfarer.